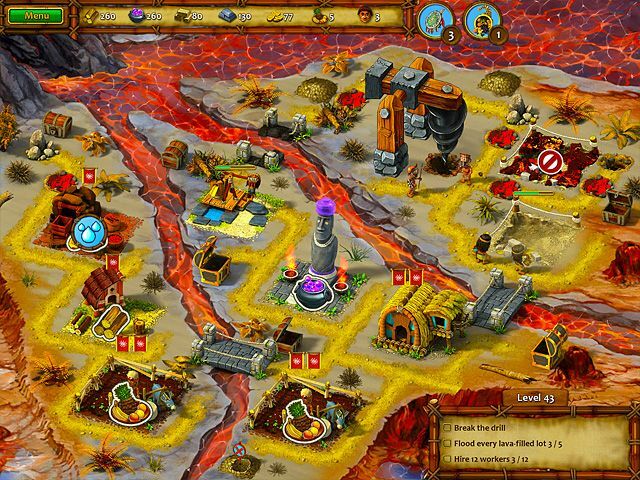 Here you can download the game “Moai 6: Unexpected Guests” on your PC without registration and for free. To download the official version of the game on the computer is very simple, you can do this by clicking the button Download Game. You can get the key to the game “Moai 6: Unexpected Guests” after starting the game by clicking the button Remove the time limit. No traveler has set foot on the lands of Tapa-Tui Island for a long time. But one day a huge ship from Europe with a team of scientists on board moored on the shores of this unexplored land. Foreigners were fascinated by the amazing beauty of enchanted islands, and the tribal chief told his children Kao-Ri and Hika-Ri to show them local sights. And while the twins Kao-Ri and Hika-Ri along with naturalists were unravelling mysteries of the flying island, a new misfortune has descended on the island in the guise of a greedy geologist. He discovered abundant mineral deposits and decided to make good money at the expense of ingenuous aboriginal people. 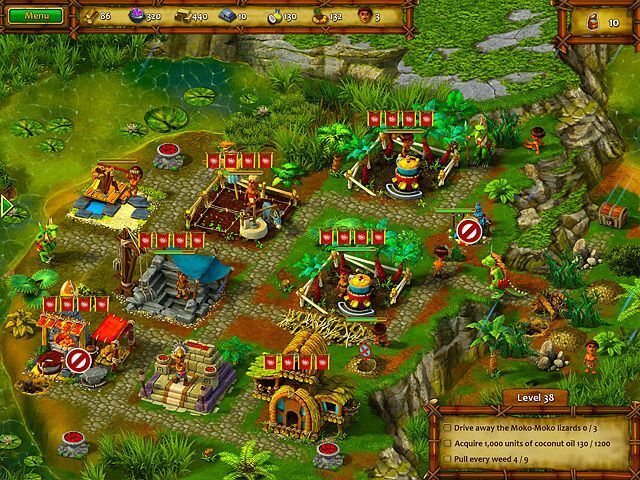 Help defeat the villain’s evil plans and protect the tribe from destructive benefits of civilization! 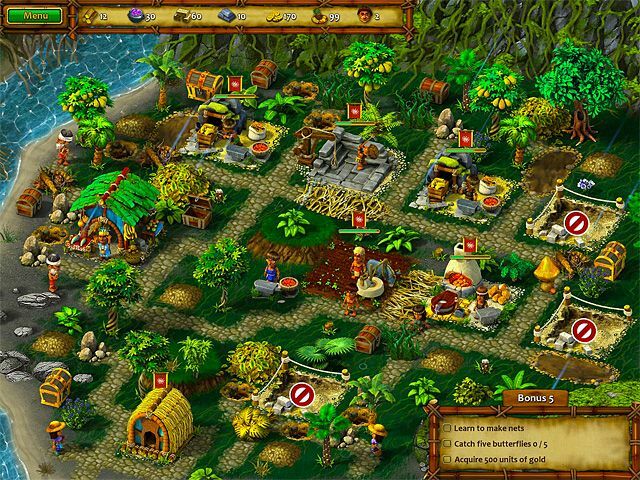 A beautiful and really nice game will immerse you in the atmosphere of a tropical island, pristine nature and magic. 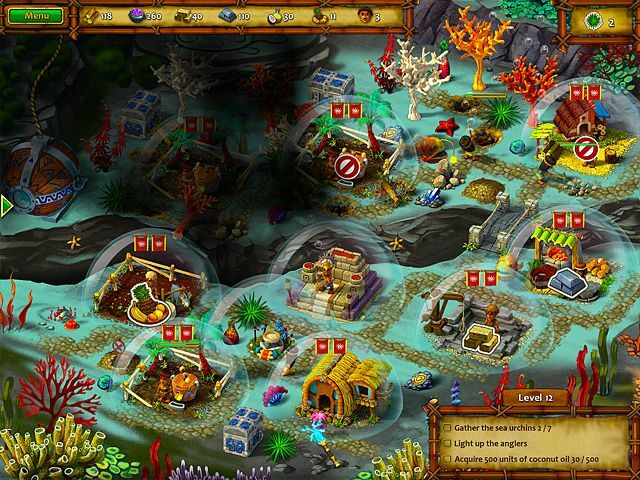 Each level is thoroughly detailed and has its own features. You can use potions, runes, bonuses and spells to keep within your time limit allotted for the task. Besides, the game has an easy mode, where the time frame for completing the level is not limited. I am looking forward to Moai VII. I totally recommend this game! All the Moai series are great quality games and VI part too.